The word Meterjam might be new to you, though unlike Traffic Jam which creates pollution; Meterjam creates awareness. Nowadays due to the influence of Social Media, many campaigns are taken up against injustice & most of the time it creates awareness among people mainly youth & brings about a change in the society. These campaigns should be advertised in such a way that people get attracted to it & join it. Advertising is not bad in this case as it’s for a noble cause & not for some monetary purposes. What is a Meterjam ? Look, when you want to go somewhere pretty near by or long distances in a rickshaw or taxi. Many a times these auto/taxi drivers give the answer as ‘No’. So Meterjam is a campaign against such errant drivers who don’t help commuters even though they are government oriented. It’s basically to tell a ‘No’ from our side to those errant drivers. So the first Meterjam was held yesterday (12th August). It wasn’t a huge success but managed to create a bit of awareness among the masses. 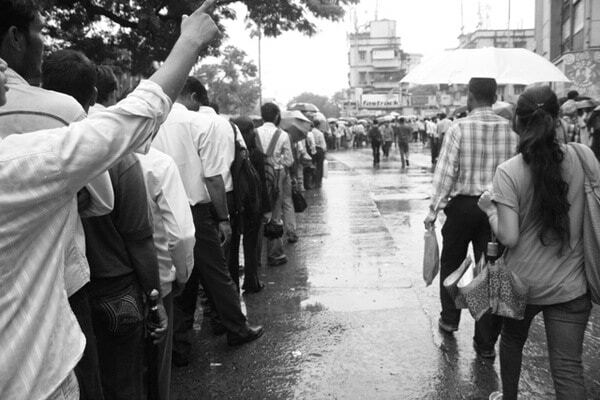 It was supported by over 30k+ people from different Indian cities. Mainly Mumbai & Bangalore though New Delhi & Chennai managed to contribute too. But the main problem was it wasn’t promoted that very well through Social Media. Such kind of campaigns require good promotions to reach out to the masses. Today in a local newspaper (Mumbai Mirror) there were grievances among the people that, they wanted to take part in such a campaign but never knew about it. They say that they came to know about Meterjam from today’s newspaper articles. Because strikes need a strike back! We’re tired of meter that always reads more than it should, drivers who refuse to ply and demand return fare whenever they want. And if all that wasn’t enough, now we have to deal with strikes too, any time the ‘unions’ decide! Everyone is holding the janta to ransom. How much more will we pay? It’s time to turn the tables. So on 12th August, shake your head and say NO if an auto driver offers a ride! Spread this kind of awareness wherever & whenever you can. Use your resources to spread this movement. Whether this happens once a week,once a month or once in a year. A single person standing up against the drivers would be surely followed by 100 others. 1. Blog about such campaigns. 2. Use your Social Media power to the fullest. Instead of chatting on facebook & twitter, share such useful information with your friends. 3. Offline promotions. Online promotions aren’t always necessary. Even if you share it with your family members,relatives & pals you contribute towards it. 4. If you have powerful contacts/resources in press releases then go straight away & tell them to write about this more often on pages with maximum visibility. Not in some middle pages clustered between the classified advertisements. 5. Support the Jammers by facilitating them with car/bike pools. 6. Try & make a difference yourself. Hope to see such useful campaigns in future. Do you think such campaigns really work ? What more can you do to support it ? Thanks for the RT Love! 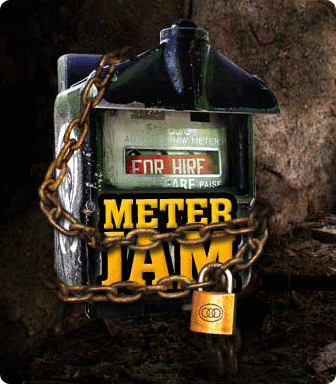 well i too unaware of meterjam.. so, spreading it via social network.. Thanks for sharing it Pooja. Though these campaigns should be strictly run once a week or twice a week, else it won’t have any effect on Drivers if it’s run once a year or once a month.